How we used to live; not that many years ago – before the introduction of the train, and the automobile – the overwhelming majority of people barely travelled anywhere. There may have been the occasional trek to a nearby village, once in a while, but for the most part, the entirety of life was spent in your immediate locale. Your village was your world. How times have changed. With industrialisation, more urban populations have been formed. Today, we live in a society where travelling out of town is, for the majority of us, commonplace – whether it be for business or leisure. It’s all thanks to the car, and the personal freedom it has granted us. It’s an indisputable fact that the car has completely revolutionised our way of life. In the UK alone, there are over 40 million full driving licence holders registered with the DVLA, and approximately 31.5 million cars licensed for use on British roads. With just over 2,000 miles of motorway in the UK, long-distance road traffic is easily achieved, and on the increase. Interestingly though, it’s believed that more than one third of British drivers have never – or at best, have very rarely – driven on a motorway. So why is this the case? For many, it’s nervousness, or being fearful – and understandably so. Not a day seems to go by without a news report about an accident on a motorway, often involving fatalities. This alone is enough to put many people off driving on motorways, but there’s also the very high speed of traffic to consider, which to a lot of drivers is extremely excessive. These two factors, along with the resultant amount of people and vehicles involved, and the subsequent traffic delays, tend to make for what the majority of news outlets consider to be newsworthy. The day-to-day reality of driving is different. The truth is, there are many more accidents on normal roads than on the UK’s motorways. Typically, these incidents are very rarely reported – unless there have been fatalities, or very serious injuries (often involving the need for an air ambulance helicopter). With so much negative focus on accidents, it’s little wonder so many drivers refuse to drive on motorways. 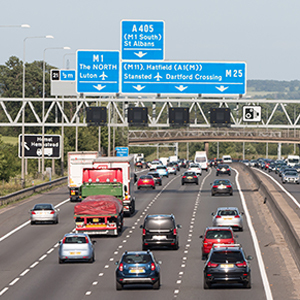 Understandably, all motorists – having just got their licence – are initially nervous about driving on motorways, but most have overcome their initial fears, and have gone on to become regular users of the nation’s major traffic network. Insecurity changes to super confidence, so much so that the majority of motorists don’t give motorway driving a second thought. As a result, many have fallen into bad driving habits – often the very reason behind so many of the accidents that occur on motorways. Always allow enough room so that, if necessary, you can safely come to a complete stop. Tailgating leaves you vulnerable to collision if the vehicle in front suddenly brakes. Stopping distances – particularly in wet weather conditions – can be unpredictable. If you have to veer out of a lane, you’re at risk of experiencing a side-on collision, and of being hit from behind. Remember the Highway Code’s ‘two second’ rule for dry roads, and double the space to four seconds when it’s raining, or if the surface is wet. Allow even greater distances in icy or foggy conditions. You should always stay in the left-hand lane when driving on the motorway, unless you’re overtaking, or if you are otherwise directed by the police or other uniformed authority. This enables safer overtaking, and smoother traffic flow. If you drive in the middle lane unnecessarily, you increase the chances of congestion. This can result in vehicles becoming too bunched together, and the chance of accidents. If you’re caught hogging the middle lane for no good reason, you risk incurring points on your licence, and a fine. Timing is everything, and this is especially the case before you switch from one lane to another. Always do so with sufficient notice, because if you don’t, how can other drivers know your intentions? You’re more likely to be responsible for an accident if you don’t indicate with sufficient notice. The maximum speed limit on the motorway is 70 mph, but this is not always an option. Variable speeds posted on motorway signs and gantries are constantly in effect and subject to sudden change. Modern-day detection technology is arrayed throughout the road network. In the current climate of aggressive enforcement, anyone caught speeding is highly likely to incur a stiff fine, as well as several penalty points on their licence. Instead, save your money, and drive at a steady, constant speed. This provides you with more control of your vehicle. Some motorists treat driving as a full-on leisure activity. 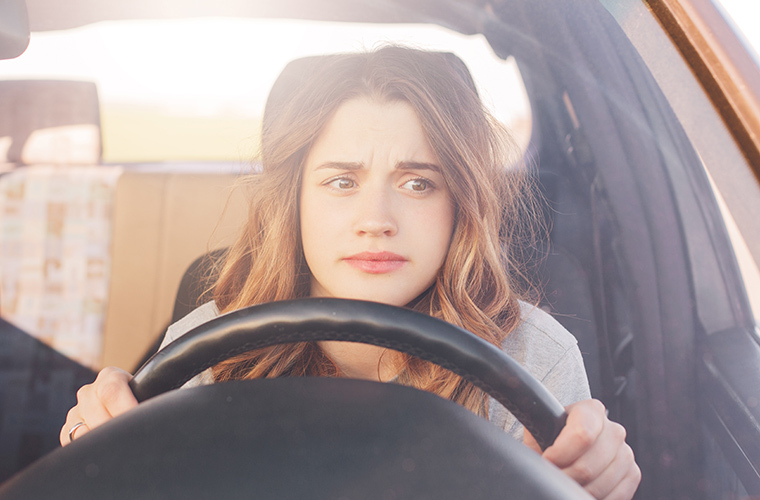 We get that driving can be exciting and fun, but concentration is vital. Incredibly, many drivers still think that it’s okay to use their mobile phones while at the wheel. Simply put, it’s not – period. Great care and attention are required when driving, to help ensure both your’s and your fellow motorway users’ safety. Travelling at high speed is a responsibility that should not be taken lightly. By paying close attention to what’s going on around you, what’s happening up ahead, and monitoring what’s behind you, drivers will be better prepared in case of a potential accident. With this in mind, it makes good sense to continually check your mirrors and to look further ahead – continuously assessing your surroundings. Remember, the only things between you, your car, and the motorway are your tyres. As such, the condition of your tyres – whether good or bad – has a direct impact on your ability to drive safely, especially when it comes to braking in wet conditions. Ensuring that you have sufficient grip is essential for remaining in control of your vehicle, no matter what type of road you’re driving on – but more so on a fast-moving, often wet motorway. If you’re not a regular motorway driver, or have yet to travel on one, you may not be familiar with ‘smart motorways’. Introduced to the UK in 2006, they’re a controversial subject. Smart motorways make use of the hard shoulder as an additional lane, in an attempt to reduce congestion. Whether this measure has been a success or not – and it’s debatable – the indisputable result is that there are now fewer places to stop your car in the event of an emergency. This can be problematic, particularly if your emergency concerns your vehicle’s engine or some other mechanical fault. But what about faulty tyres – more specifically, if you happen to experience a puncture? Traditionally, motorists have stopped on the hard shoulder to change their tyre. In the past, this may have been a reasonable thing to do, but not in today’s fast-moving, more dangerous driving conditions. Department for Transport figures show that between 2011 and 2016 there were 285 collisions that involved a stationary vehicle on the hard shoulder. There were also a further 118 collisions when a vehicle was either entering or driving away from the hard shoulder or lay-by. In total, these incidents resulted in 38 people losing their lives. Whatever the reason for these incidents – motorists not paying enough attention or driving too fast – it’s clear that if you can avoid stopping on the hard shoulder to change a tyre, you should do so. But how to avoid the need to stop? Simple; by fitting tyres that have self-sealing and run-flat tyre technologies, like those manufactured by Continental. Contiseal™ does away with the need to stop on a motorway hard shoulder to change a tyre. 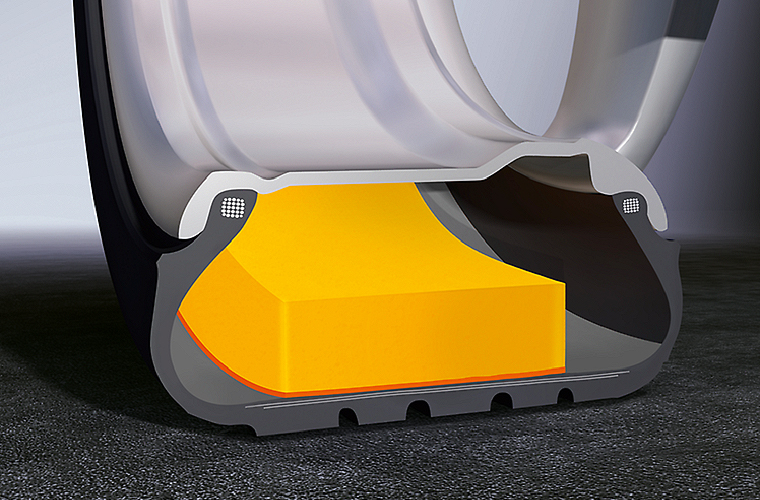 It’s engineered to seal a punctured tyre internally – up to 5 mm deep – thanks to a gum-like sealant layer. As a result, drivers are able to effortlessly continue on their journey, with no need for an immediate stop, or roadside tyre change. There’s no compromise in driving performance, which remains identical to that of a tyre in usual condition. You can change the punctured tyre later when conditions are much safer. 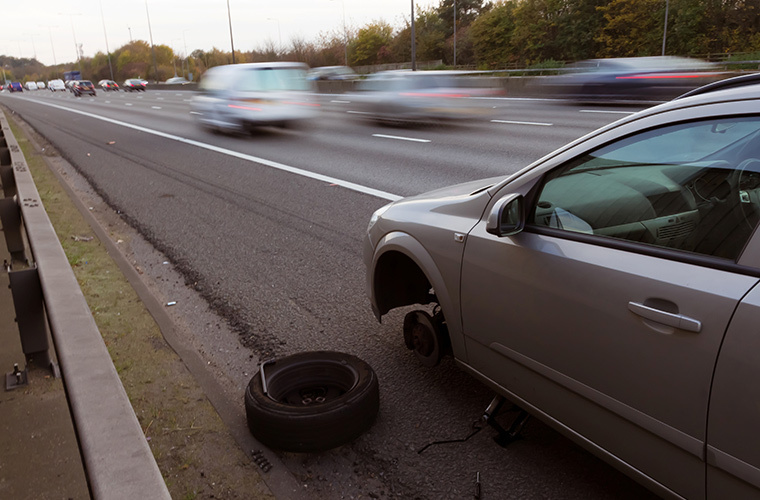 Self-Supporting Runflat (SSR) tyres are another extended mobility solution that negates the need for an immediate stop to change a tyre on the motorway. They allow drivers to travel for up to 50 miles (at a maximum speed of 50 mph) in the event of sustaining a puncture. There’s no need to carry a spare wheel in your vehicle, and SSRs are compatible with conventional wheel rims. Self-Supporting Runflat technology is based on a reinforced sidewall which prevents the tyre from being crushed between the rim and the ground, or slipping off the rim. And it’s not just safety. 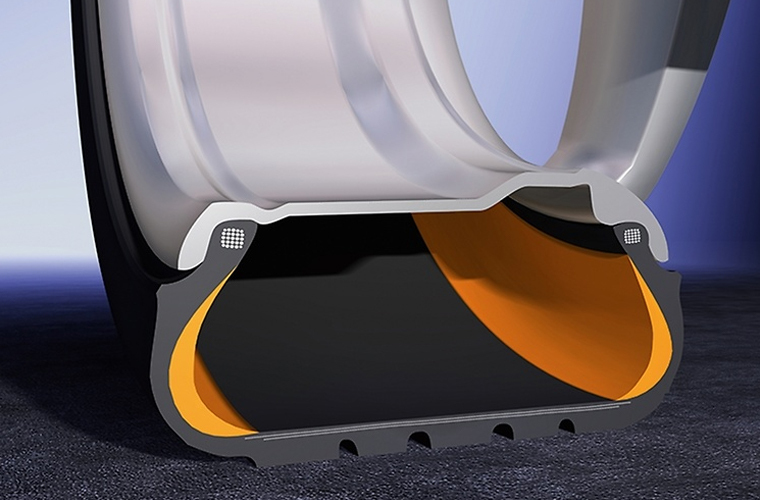 ContiSilent™ tyre technology minimises interior cabin noise. 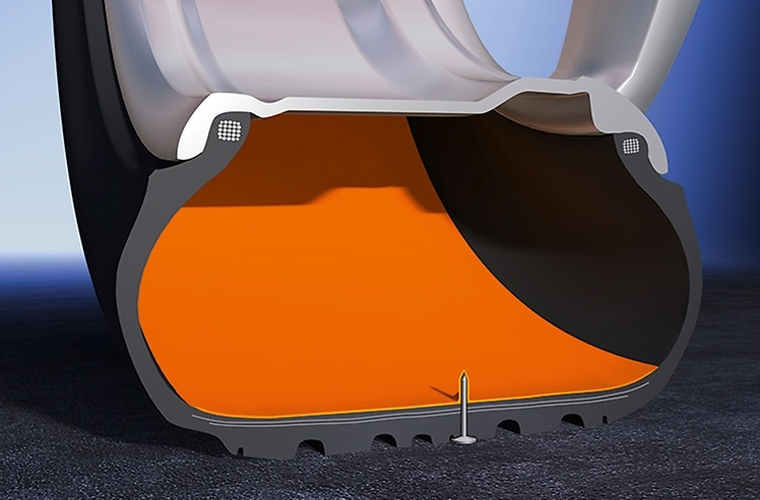 Its noise-reducing characteristics are effective on all road surfaces and work in all weather conditions. As such, ContiSilent™ tyres are ideal for long-distance,high-speedd motorway driving, where sound levels are typically loud. The technology provides motorists with enhanced comfort, and peace and quiet, without any negative impact in driving performance, mileage, or load/speed capability. 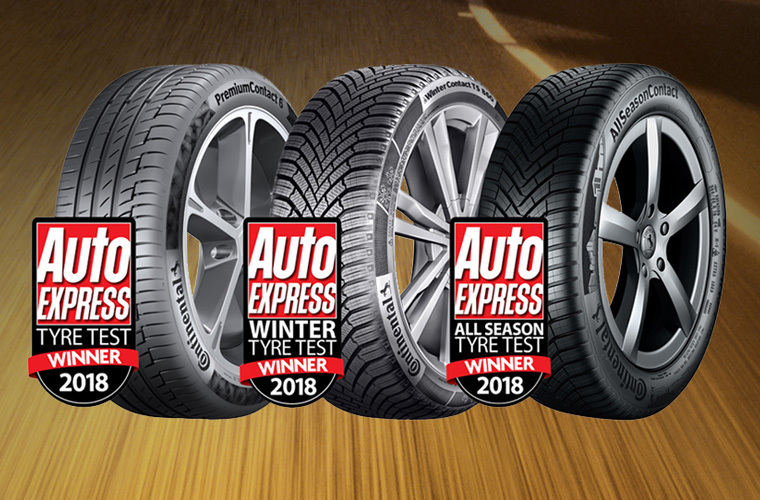 So highly regarded are their premium tyres that for the first time ever, a single manufacturer – Continental – have won the Auto Express Tyre Test Award 2018 across all three tyre types; summer, winter, and all-season. This unprecedented achievement acknowledges the superior safety and comfort characteristics of Continental’s PremiumContact™ 6, WinterContact™ TS 860, and AllSeasonContact™ – all ideally suited for motorway driving.